Hearing loss is often believed to be a senior person’s problem, but more younger people are now experiencing some degree of hearing loss. There’s no denying we live in a noisy world, from construction and traffic to public areas and even inside our own homes. Even though you may not feel that you have hearing loss, you could actually have some degree of it because hearing loss comes in ranges, which is what this article will talk about. 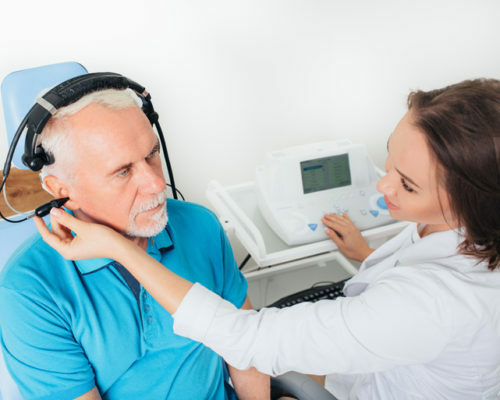 A typical hearing test lasts from 60 to 90 minutes, and at the end of the study, you will receive a diagnosis of mild, moderate, severe, or profound hearing loss. Mild hearing loss refers to having some level of hearing loss, usually having difficulties hearing sounds below 40 decibels. Examples of this include a whisper or rustling leaves. In noisy environments, you may have some difficulty hearing soft or high-pitched sounds. Moderate hearing loss is defined as hearing sounds between 40 and 60 decibels. Following conversations may be difficult, and the use of hearing aids is often recommended at this range. Severe hearing loss is only hearing sounds at around 80 decibels like a vacuum or blow dryer. Profound hearing loss is the most severe, and you won’t be able to hear such loud sounds from a motorcycle, blender, or lawn mower. These are just general guidelines for healthy individuals. If you have known hearing problems or a condition which affects your hearing, then testing may be more frequent. Hearing loss is irreversible, so once it’s gone, there isn’t much you can do to get it back. This is why it is so important to have it tested in the first place to gauge where you are at so you can preserve your hearing.